I’ve been interested in St. John’s Wort (Hypericum perforatum – if you hold a leaf up to the light you can see the tiny holes or perforations) since I was studying for my first degree in Psychology in the 90s and it ended up as the subject of my final year dissertation. As with many herbs there is plenty of folklore surrounding its common name. 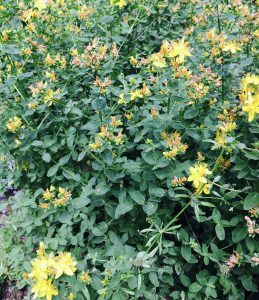 ...continue reading "St. John’s Wort – not just for depression"
The books start to take over! When you come to see me, I emphasise how you will be prescribed a bespoke mix of five or six herbs in one bottle. During your first consultation, even if you turn up with the most common of “common ailments”, I’ll almost never decide while you’re still sitting there exactly what I’m going to give you. I don’t leave you, go to my dispensary, and reach for my large bottle of “IBS herbal mix” or “eczema herbal mix” or “insomnia herbal mix”, decant it into a smaller bottle, and write your name on it. At the risk of sounding like a broken record, your herbal mix is specifically for you only and takes into account the whole of you. ...continue reading "What do you get for your money?" February is Raynaud’s Awareness Month. But what exactly is Raynaud’s? Normally experienced in the fingers (but toes, ears and nose can be affected too), Raynaud’s affects the small blood vessels, reducing blood flow and causing pain, numbness, tingling and colour changes when exposed to cold. Strong emotions can also lead to the same symptoms, which are a result of the blood vessels going into spasm. 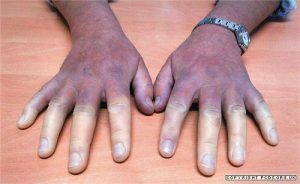 Fingers tend to turn blue or white and then gradually go red as they warm up. ...continue reading "What is Raynaud’s?" You may have seen this new "trend” in the media this week - #cleansleeping – coined by the actress Gwyneth Paltrow. She may have invented and brought her own style to it (copper-infused pillows? ), but herbalists have been talking about the virtues of a good night’s sleep for hundreds of years. ...continue reading "Clean sleeping? 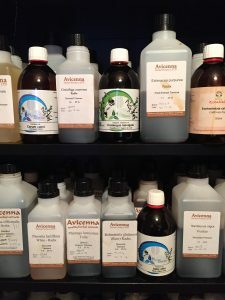 A herbalist’s approach"
Tinctures are an alcoholic liquid made by steeping either the fresh or dried herb in different strengths of an alcohol/water solution for several weeks in order to extract the active ingredients of that herb. Most of the time this means a tincture gives a stronger dose of the active ingredient than, for example, a tea. Tinctures also have a much longer shelf life than teas. 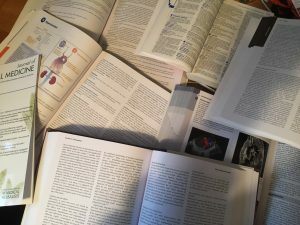 ...continue reading "What is a tincture?"